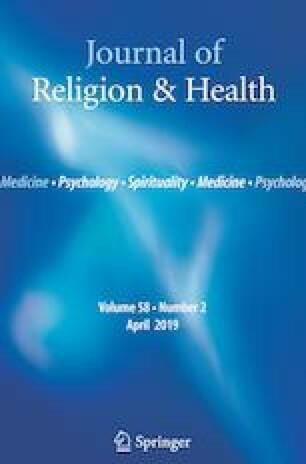 This study examines rural residents’ depressive symptoms, helps seeking preferences and perceptions of a church-based group depression intervention, informing feasibility of adapting evidence-based treatment for delivery in rural churches. A cross-sectional survey was administered to 100 members of 2 churches in a rural Midwestern community; 63 congregants responded. Depression was assessed via the Patient Health Questionnaire-9. Descriptive analyses were performed, and 12.9% of respondents screened positive for depression. Another 25% reported mild symptomatology. Respondents preferred informal help seeking, although reported more openness to formal providers to address others’ depression. Results suggest receptivity to church-based treatment. Almost two-third of respondents reported they would consider attending a church-based group depression intervention, 80% would recommend it to a friend in need, and 60% indicated it would benefit their community. Delivering evidence-based depression treatment within church settings may provide a viable option for increasing access to care in this rural community. Health Resources and Services Administration. (2019). Designated health professional shortage areas. Bureau of Health Workforce. U.S. Department of Health and Human Services. Retrieved from https://ersrs.hrsa.gov/ReportServer?/HGDW_Reports/BCD_HPSA/BCD_HPSA_SCR50_Smry_HTML&rc:Toolbar=false. National Advisory Committee on Rural Health and Human Services. (2014). Rural implications of the affordable care act outreach, education, and enrolment (Policy brief). Retrieved from https://www.hrsa.gov/advisorycommittees/rural/publications/ruralimplications.pdf. Newkirk, V. R. & Damico, A. (2014). The affordable care act and insurance coverage in rural areas (Issue Brief). Menlo Park, CA: Kaiser Family Foundation Retrieved from https://kaiserfamilyfoundation.files.wordpress.com/2014/05/8597-the-affordable-care-act-and-insurance- coverage-in-rural-areas1.pdf. U.S. Department of Agriculture Economic Research Service. (2017). Geography of poverty. Retrieved from https://www.ers.usda.gov/topics/rural-econo my-population/rural-poverty-well-being/geog raphy-of-poverty.aspx.